While alarming, these statistics generally aren’t in the forefront of our minds. That’s where Earth Day comes into play. This tradition has held strong for 46 years and huge achievements in preserving the planet have come from it. The purpose behind the movement is to inspire individuals to step up to the plate and help tackle some of the world’s most pressing environmental problems. Today, Earth Day is recognized in over 196 countries, and more than 50,000 organizations partner with the Earth Day network to promote environmental mindfulness. 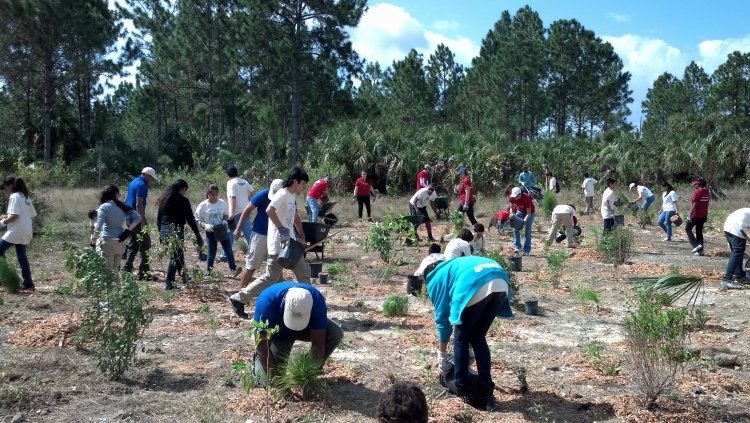 Many nonprofit organizations work year-round to promote environmental conservation. Today we recognize a few of these great organizations. Each of these nonprofits focus on different initiatives to help our planet, from protecting lakes to saving endangered species. Let’s take a peek at how they strive to make Earth a better place. Thirty years ago, a group of surfers took a stance against ocean and beach pollution and founded Surfrider Foundation. What started as an attempt to save the beaches they surfed in Malibu has since evolved into an effort to protect the entire nation’s surrounding oceans, waves, and beaches. Surfrider Foundation aims to keep beaches open for all to enjoy, protect ocean water and beaches from pollution, and preserve the natural beauty of our nation’s coasts. 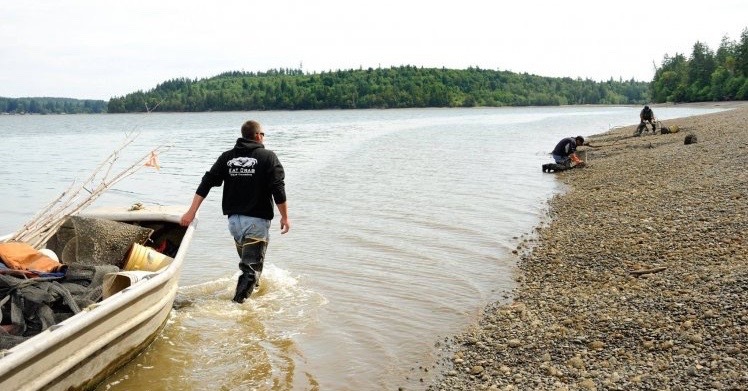 Today, Surfrider Foundation has expanded into 85 chapters in 10 regions across the country. Thanks to Surfrider Foundation, 56 percent of our nation’s coasts are now protected. Since 2006 they’ve run 351 campaigns to support this effort, and they’re not stopping there. This would not be possible without the work of their volunteers, who dedicate hours of their free time to help bring about positive coastal change. Learn more about how you can sign a petition, donate money to save the coast, or give your time to Surfrider Foundation. Subject to things like urbanization, invasive species, and climate change, the crystal blue waters of Lake Tahoe would not have remained pristine without massive conservation efforts. The League to Save Lake Tahoe has spent years working hard to protect and restore the environmental health of this beautiful body of water. They work to preserve watersheds that support the surrounding nature and empower the local community to help maintain the lake. To date they’ve secured hundreds of millions of dollars in public funds for restoration projects that benefit the lake. 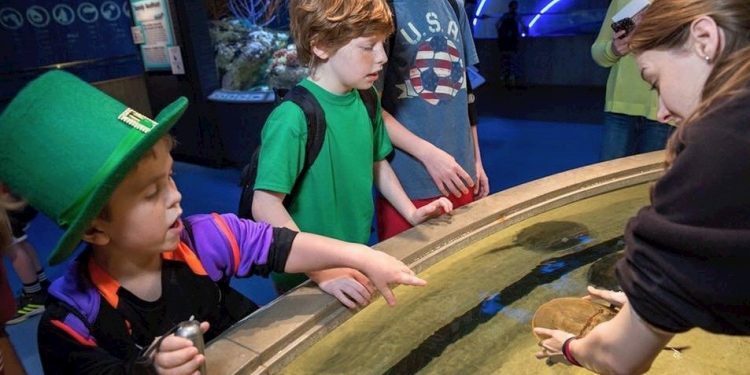 The National Aquarium isn’t just a place where children can learn about the ocean’s inhabitants. It’s also a nonprofit organization dedicated to protecting both the ocean and the creatures living in it through animal rescue, conservation, and education. Learn more about the National Aquarium’s Earth Day campaign, #48daysofblue and how their work is protecting oceans and marine life. Citizens’ Climate Education believes even an ordinary person has the ability to do something extraordinary. That’s why they give individuals the tools and information they need to raise awareness about climate change solutions. The hope is that by educating politicians, the media, and society at large, real change can be made to solve one of the most pressing environmental issues in the world. To further these dialogues, Citizens’ Climate Education holds conferences that band together NGOs, stakeholders, and anyone interested in learning how to advocate for environmental change. Learn more about how you can help Citizens’ Climate Education advocate for a better future. Plant a tree to save lives. This is the mindset Trees for the Future operates in. They believe that when rural communities are provided with the education and resources needed to plant trees, sustainable change is created through these beneficial farming techniques. Forest gardens are an opportunity to improve crop yields, increase household income, and bond as a community. Currently Trees for the Future has 14 projects in the works in five countries in Sub Saharan Africa. Learn more about how planting trees impacts people’s lives and how you can get involved. Since 1956, the Zoo Miami Foundation has educated people on the importance of conserving wildlife and how to accomplish this for future generations. Their various projects benefit a wide range of species including the American Flamingo, cheetahs, and the Florida Panther. One hundred percent of contributions donated to Zoo Miami’s conservation efforts go toward the project of your choice. Get more information on how to save endangered species. Crutches 4 Kids promotes recycling by collecting used crutches and distributing them to kids in need worldwide. 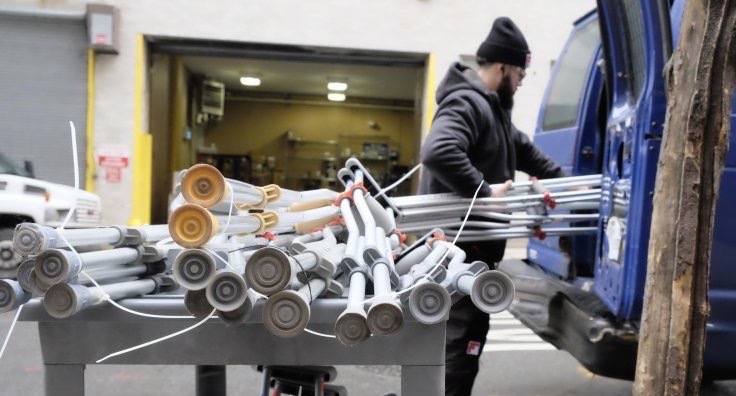 Used crutches are collected through sustainable recycling, drives, and donations. Through this program, they help to eliminate waste while improving the lives of underprivileged children. To date, they’ve prevented 14.5 tons of waste in landfills. Last year we recycled 2,845 pounds of mobility aids and distributed crutches to 18 countries around the world. Through our partnerships, we have helped 26 organizations distribute crutches. Have a walker, cane, or pair of old crutches you’d like to donate? Don’t let it become waste. Find out more information on how you can support Crutches 4 Kids. Keep America Beautiful aims to do just that: preserve and improve our natural surroundings nationwide. They plan to achieve this by beautifying communities, eliminating littering, and encouraging recycling. Their mission is to inspire communities to band together to improve and take care of their surrounding environment. To date, more than 5.5 million volunteers have dedicated their time to improving more than 20,000 communities. Check out how you can get involved in the 2016 Great American Cleanup. The Climate Reality Project encourages individuals to see the climate crisis as an urgent problem that needs to be addressed worldwide. They target passionate activists and ask them to join their community of like-minded individuals. These activists work to transform the politics around the climate crisis in order to ultimately reduce carbon emissions to net zero. To date, 3.5 million supporters have rallied to Climate Reality Project’s cause. Learn more about how Climate Reality Project empowers their advocates. The future lies in the hands of today’s youth. This is why the Urban Ecology Center is dedicated to providing youth with the tools and education necessary to change their neighborhoods for the better. This includes protecting public natural areas by making them safe and easily accessible. 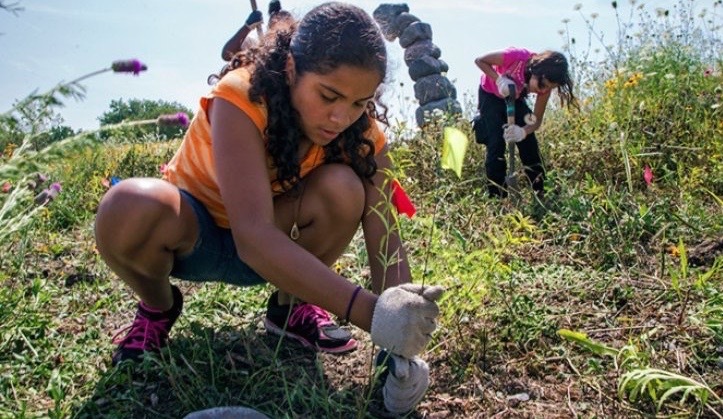 While environmental youth education is at the core of Urban Ecology Center’s mission, they also share their knowledge with adults and teens by hosting workshops and events geared toward older demographics. Urban Ecology Center is getting ready for one of their largest events, their 2016 summer camps. Here children are exposed to the beauty of nature and learn about the environment through activities like hikes, art projects, and photography. These hands-on educational experiences aim to help children develop a deep connection with nature. Learn more about the Urban Ecology Center and discover how you can help children connect with nature. Public land can mean a lot of things: it can be the park down the street, your favorite hiking trail, or even a national park. Trust for Public Land creates and protects this land for people to enjoy. While it may seem that public land is abundant in some areas of the country, one in three residents in many cities across the nation do not have access to a park or natural area. Increasing development is also causing America’s open spaces to deplete rapidly: at a rate of 6,000 acres a day. To encourage others to fight for public land, Trust for Public Land’s latest campaign—the #OutLand campaign—encourages individuals to share their stories on how they protect land near them. These stories are then shared on Trust for Public Land’s website for all to see. Learn more about protecting public land and how you can share your own story on how you help protect nature. More than 17 million people rely on the Delaware River for drinking water. Unfortunately, this water source’s integrity is regularly threatened from things like resource extraction and pollution. In efforts to protect the natural water source, its wildlife, and the people who depend on the water, the Delaware Riverkeeper Network empowers its community members to speak up for change and join them in restoring the river. To date they’ve had a number of advocacy, litigation, and habitat restoration successes. From taking steps to improve water quality, to defeating proposals for dam constructions, the Delaware Riverkeeper Network works continuously to protect this natural resource. Find out how you can support the Delaware Riverkeeper Network and get involved today. Earth Day may just be one day a year, but conserving the environment can be practiced all year long. Let these organizations serve as inspiration for how you can make a difference in the world. Whether it’s planting a tree or adopting an animal at a zoo, your contributions make a difference. Join the Earth Day movement and celebrate conservation every day.